Manufacturer of a wide range of products which include auto engine valve guide, valve guides, marine valve guide, industrial engine valve guide and diesel engine valve guide. Our organization is engaged in offering superior quality Auto Engine Valve Guide. This valve guide is preferred to control the direction of valve, which is used by various industries like automobiles. The offered valve guide is accessible in assorted specifications so as to meet the requirements of customers. Our valve guide is used to locate the valve precisely ensuring proper contact with valve seat. The valve guide centers the valve on the valve seat insert and conducts a proportion of the heat from the valve head, via the valve stem to the cylinder head. Valve Guides are made from Gray Cast Iron alloy. We offer Brass, Bronze and Copper backed materials. Cylindrical Grinding is done to archive geometrical parameters. Valve Guides are hardened up to 210 to 260 BHN. Valve Guides which are developed from grey cast iron alloy with high phosphorous content to offer high wear resistance as well as improver the years working properties in poor lubrication conditions.The inner bore of these valve guides is finished to perfect size, not usually done by competitors. We are an eminent manufacturer, exporter and supplier of a wide assortment of Marine Valve Guide. This valve guide is made from grey cast iron alloy with high phosphorous content to provide corrosion resistance, high wear resistance and improve working in poor lubrication conditions. The offered valve guide has excellent resistance to corrosion & wears and improves working in poor lubrication conditions. We are instrumental in offering a wide gamut of Industrial Engine Valve Guide. This valve guide is highly appreciated among our clients due to their trouble free performance and superior quality. Offered valve guide is designed from the superior quality material & contemporary techniques in fulfillment with the standards of industry. Our esteemed customers can avail this valve guide in a given time at nominal price. 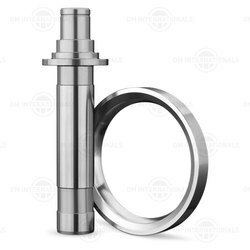 Leveraging on our vast experience in this domain, we are actively engaged in offering premium quality Diesel Engine Valve Guide. This valve guide is expertly manufactured using finest quality material and sophisticated technology in observance with international standards. 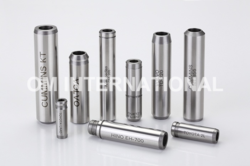 Our valve guide has a wide use in agriculture machines and other automobiles. 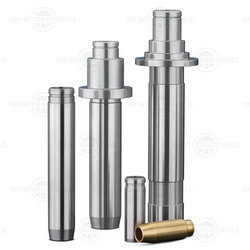 High level of durability and hardiness make these valve guides widely appreciated and accepted by our customers.